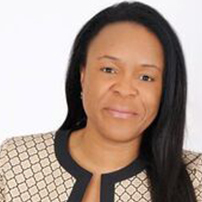 Mireille Toulekima is an Award Winning Entrepreneur, global energy adviser, global executive mentor, an inspirational and authentic leader, speaker and women empowerment advocate and champion. She is the Managing director of the Perth Australia based oil, gas and energy consulting company MT Energy Resources Ltd. A petroleum Engineer who gained her experience working for more than 20 years in Africa (Gabon, Mozambique, South Africa, Ghana), Europe (UK, Holland), Asia (Malaysia) and Australia (Adelaide, Perth) in a range of technical and management assignments, Mireille is a key enabler with respect to Local Content with expertise on developing and emerging markets. Mireille has published three books: “Local Content Key Enabler for Oil and Gas projects in Emerging Markets” published in 2015, “Stepping into your greatness: Twelve rules for building an outstanding life” published in 2016 and “Natural Gas Strategies: the role of Emerging and Developing markets” published in October 2018. She is the founder of Women Oil Gas and Energy Africa Club, the Chairperson of UAE-AFRICA Mentoring and Development Consortium (UAMDC), a board member of Global Women’s Enterprise Project (WEP), a global mentor at West Africa Project of Humanity (WAPH), director at Africa oil gas and energy Australia Conference (AOGE), the STEM (Science Technology Engineering Maths) champion of Women Economic Imperative (WEI) Forward organisation founded by Washington based Margo Thomas (the former Chief of Secretariat for the United Nations Secretary-General’s High-Level Panel on Women’s Economic Empowerment), The Australia Empowering Director of Empowering a Billion Women by 2020 (EBW2020) founded by Austin Texas based Ingrid Vanderveldt (Named one of Oprah’s Top 100 Global Leaders and sits on the United Nations Foundation’s Global Entrepreneurs council), the Australia coordinator of Lean In Energy organization founded by Houston Texas based Katie Mehnert (CEO of Pink Petro) and supported by Facebook COO Sheryl Sandberg. Mireille is also the Australia Female Waves of Change Ambassador and the founder and CEO of Mireille Toulekima Global Leadership Organisation whose mission is to empower individuals and organisation worldwide to take control of their growth and success to become the best that they can be. Mireille is a Global Tech Leader advocating and championing diversity and women advancement in STEM industries. In September 2018, she launched the STEM Queens program in Uganda in partnership with the local NGO Bambino Life with the objective to increase girls and women participation in Africa STEM economy. Mireille contributes to several women leadership and technical groups around the world. She has been identified and recognized as a leader of great influence globally. In 2017, as a follow up to the publication of her second book “Stepping Into Your Greatness: Twelve rules for building an outstanding life”, Mireille developed a leadership method called D.A.R.E (Decide Act Review Expand) which is the signature coaching program of Mireille Toulekima Global Leadership Organisation. She also launched the Greatness Engineering movement and created the Greatness Engineering Summit which each year gathers individuals and organisations committed to create greatness in each corner of the world in all kind of dimensions and spread the awakening consciousness that who they are and what they can accomplished has no limits. Mireille is part of the new waves of women who have embraced non-traditional industries, globalization, innovation and digital disruption and who strive to be the best that they can be, spreading greatness wherever they are.